All reagents needed to start a Mohs lab. From tissue marking dye, cryo-embedding, melanin bleaching, and mounting medium to a finished slide that can be viewed under the microscope within minutes. 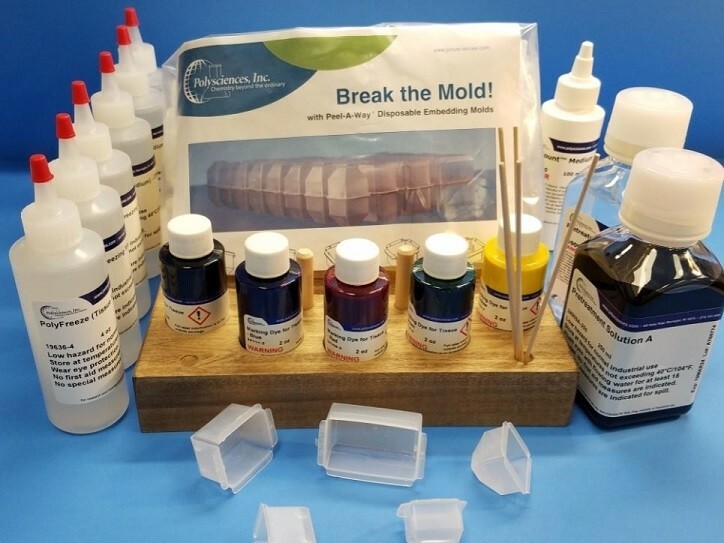 Peel-A-Way Molds are easy to use and saves time - Unique design will “Peel-A-Way” from a solidified embedded block, providing a perfectly smooth flat surface for cutting. Note: All kit replacement components can be purchased separately; various sizes available.